Happy Friday, my friends! I have been looking forward to sharing today’s post with you for quite a while. Self-care is something that’s very important to me. So many people out there confuse self-care with selfishness, and that’s not what it is at all. While self-care can be focused on pampering and treating yourself once in a while, the true heart of self-care is to take care of every part of yourself – physically, emotionally, socially, intellectually, and spiritually. When the weather starts to get cooler, that’s when I take even more care of myself physically. The fall and winter months can take a toll on my body, hair, and skin, so it’s important to me to be proactive in caring for myself in this dimension of self-care. You already know that I’m a huge fan of Palmer’s. I have been using (and loving) their products for years now and they never let me down. 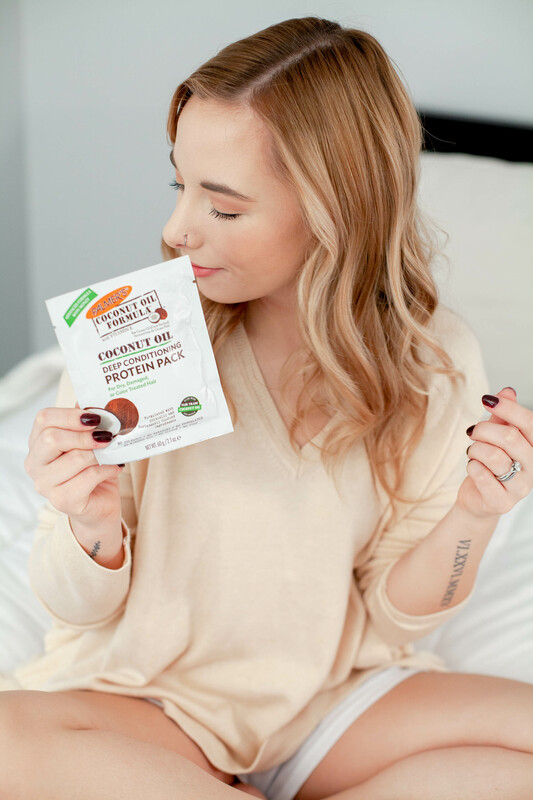 Today, I’m sharing with you my self-care routine with some of my favorite Palmer’s products. 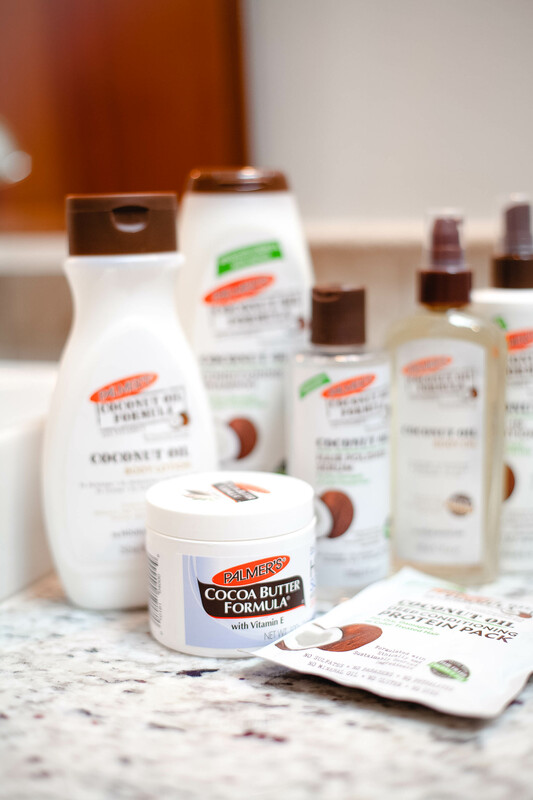 Palmer’s Cocoa Butter Formula and Coconut Oil Formula lines are two of my favorites! Both lines have incredible products to help you care for yourself well. For the times when my skin is very dry and is in need of some deep hydration, I reach for Palmer’s Cocoa Butter Formula Original Solid. This solid lotion is made with pure Cocoa Butter to naturally moisturize and Vitamin E to help improve the appearance of scars and imperfections on the skin. I scar easily even from the tiniest paper cut, haha. So, this solid lotion has been a little hero of mine as it’s helping fade the appearance of my scars. Palmer’s Cocoa Butter Formula Original Solid is great for overnight treatments. Its unique formula melts into your skin to create a protective barrier that locks in moisture. This is great for all skin types from normal to dry to eczema-prone skin. You can use it daily or save it for when your skin needs some good moisture loving! This is available at all key retailers including Target, Walmart, CVS, Rite Aird, Amazon.com and more. This body lotion has been my favorite and go-to lotion for the past year. I use it every day and it’s super moisturizing. This body lotion contains rich, skin-conditioning coconut oil and coconut milk that infuse skin with deeply penetrating moisture and an instant hydration boost. It helps keep your skin hydrated all day long and lasts up to 24 hours. Again, it’s the perfect lotion to use daily. It rehydrates even the roughest, driest skin. The natural oils and botanical extracts immediately rehydrate depleted skin on contact. It’s free of parabens, mineral oil, sulfates, phthalates, gluten, GMOs, and harsh chemicals. The Raw Coconut Oil is fair trade and certified organic extra virgin. You can find this body lotion at CVS, Walgreens, Target, or Walmart. Many people overlook that they need to care for their hair just as much as they care for their skin, especially in the fall and winter seasons. I’m always looking to improve the health of my hair and I regularly use hair masks to keep my hair hydrated. The deep conditioning protein pack hair mask from Palmer’s is absolutely heavenly! This treatment mask is focused on moisture, repairing damage, and strengthening hair. Plus, it smells amazing! You can find this hair mask at Walmart or Target. 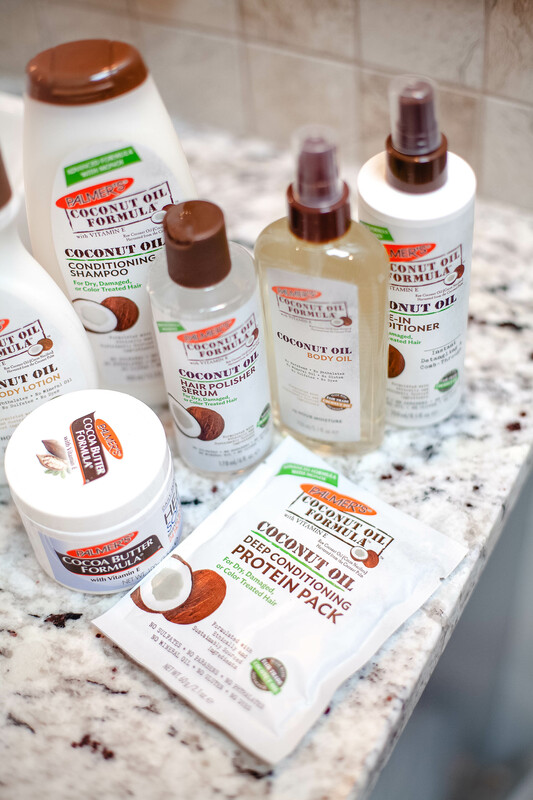 Palmer’s products help me keep proper self-care in terms of taking care of my body, hair, and skin. I seriously can’t rave enough about their products but especially the ones I shared about today. Do you use Palmer’s products? Which one if your favorite, if you do? How do you care for your body during the cooler months? Let’s chat!